We have seen that due to the fact that it is difficult to obtain a mortgage by your self, a lot of people decide to go in to a shared mortgage on a property. They usually buy with their wife or husband, or with family and friends. In this article I will briefly explain the problems that can arise from buying property with somebody else. It is clear that mortgage brokers have not said enough about the problems that might occur by obtaining a joint mortgage. There are thus a few important precaution measures that need to be taken before attempting a joint mortgage to avoid the problems that might occur in the future. Recent studies has shown that a lot of these partnerships becomes trapped in the scheme and are either not able to sell their shares of the property or they lack the immediate funds to buy the other partner’s shares. The biggest problems come when one party wants to sell and the other one doesn’t. The market for “half” properties is extremely limited. I would suggest that before entering a scheme as such, that both parties set up an agreement before hand, to stipulate what will happen if this problem occurs. Normally the outcomes of this problem is that either the one partner wants to stay in the house, rather than to spend a lot of money on transfer fees, or they are forced to sell even if it is at a loss, just to get free from the property. Recently we have seen that banks are not that willing to give out joint mortgages if the applicants are not life partners or married, the risk for problems are just too high for the banks. Both partners should be responsible for their own share of the debt. Some banks will only give a loan if the one partner will take responsibility for the loan, even if the other partner is not able to sustain the loan anymore. 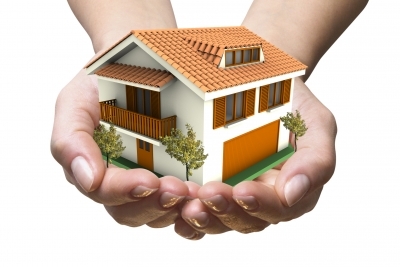 There are thus a few other factors to keep in mind when applying for a joint mortgage loan. It is of utmost importance that both parties take out bond protection insurance, in case of when one party gets retrenched, disabled or dies. This is important so that the other bond holder will not sit with the financial difficulties when something like this might occur. It is important that both parties agree that they should obtain such insurance. Another tip is that when you decide to buy a house together, then you should buy a house where there is enough privacy for both parties. Separate parking, bathrooms and sleeping rooms are essential. We can now see that a joint bond partnership is not a walk in the park. There are many things that can cause problems. It is of utmost importance that agreements are made before hand for when problems like these might occur.